The Alabama rig was a hot topic after FLW Pro Paul Elias used the rig to win $100,500 in a Walmart FLW Tour event. 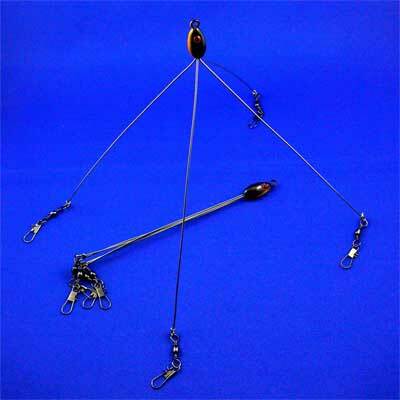 Anglers have been of two minds when it comes to this rig, many are excited to try the technique for themselves but are unsure of the role the Umbrella Rig should play in the Pro angling world. The original rig included multiple arms that exceeded the number of hooks allowed by many fisheries. To fix this problem Cross Bay Outdoor has developed a version of the umbrella rig which is legal to use in fisheries like Ontario. "The Rig" is the first product in the company's new "Guru Tackle" brand and features four adjustable arms. When you pair "The Rig" with fluke-type baits or swimbaits the set up looks like a school of baitfish swimming through the water exciting fish into a feeding frenzy. 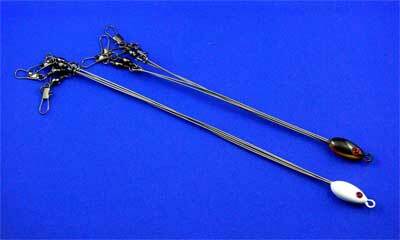 The Cross Bay Outdoor's spreader rig comes in two arm lengths, 5" and 7", and is available for MSRP $9.99.